Join us for The Sunday Morning Yeshiva at 11:30 AM, featuring learning with Rabbi Avraham Newman, followed by a video of Reb Shlomo’s teachings. Video will begin promptly at 12:45 PM. This class is intended to be accessible to people of all learning levels. Translations for texts will be available. While the theme is continual, you may attend any given week or if you missed a week. We will offer a short review of the previous session at the beginning of every class. Please also feel free to share this information with anyone else you know who might be interested. Thank you. ﻿﻿ Your browser does not support the video tag. 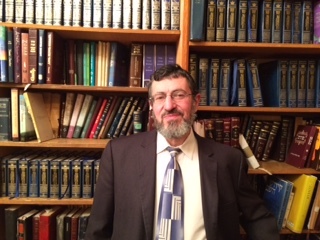 Join us for The Sunday Morning Yeshiva at 11:30 AM, featuring learning with Rabbi Avraham Newman, followed by a video of Reb Shlomo’s teachings. Video will begin promptly at 12:45 PM. This class is intended to be accessible to people of all learning levels. Translations for texts will be available. While the theme is continual, you may attend any given week or if you missed a week. We will offer a short review of the previous session at the beginning of every class. Please also feel free to share this information with anyone else you know who might be interested. Thank you.